Hello, and welcome to the new-look MusicRadar. Regular mobile visitors to the site will have noticed that we've been testing our new design for the last few weeks, and today we're ready to say goodbye to our elegantly crumbling desktop front-end and fully reveal our new, responsive design. The new look may take a few hours to work its way around the internet, but if you're not already, you'll very shortly be looking at the new MusicRadar. In the meantime, you can click here to view beta.musicradar.com. Our primary aim has been to make it easier for you to find the content you want. That's why we've simplified our main navigation, prioritising the Guitars, Tech and Drums homepages. Acoustic and Bass will now live within the Guitars channel, and DJ will slot into Tech. We've also decluttered article pages to make them easier to read and to better showcase some of the fantastic imagery and video we have to offer. In addition we've done a lot of work to the backend to make pages load faster, but we won't bore you with that today. This is just the start, though - as ever, we'll keep working to improve MusicRadar and help you to find the stories you're interested in and the info you need. We'd also like to know which features you'd like to see on the site in the future. 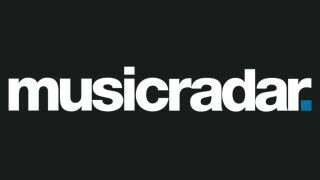 We hope you like the new look and would like to thank you for your continued support of MusicRadar. Feel free to leave feedback and comments below, via Facebook and Twitter, or email us direct at musicradar@musicradar.com.